Anyone who knows me KNOWS that the only non-negotiable part of my life my morning is my daily iced coffee. A little 1%, a lot of ice, and I’m ready to face the day. Truth is, I love most anything coffee-flavored – malteds, cookies (and more cookies) – even those old lady candies. So of course I was going to include a popsicle-version of my beloved beverage! 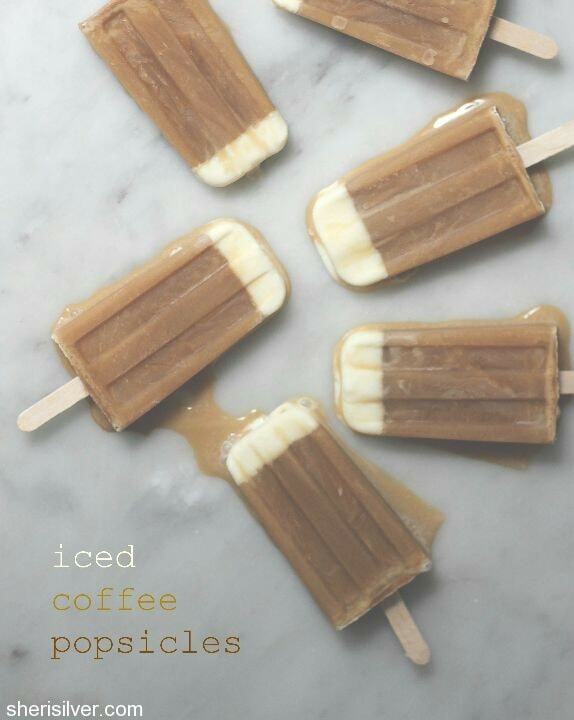 These iced coffee popsicles would be fun to serve after dinner on a warm summer night, don’t you think? Since I always have a container of iced coffee in the fridge (unless I treat myself to a proper cold brew), this was an easy one to pull together. Pour off 1/3 c. cream and sweeten to taste. 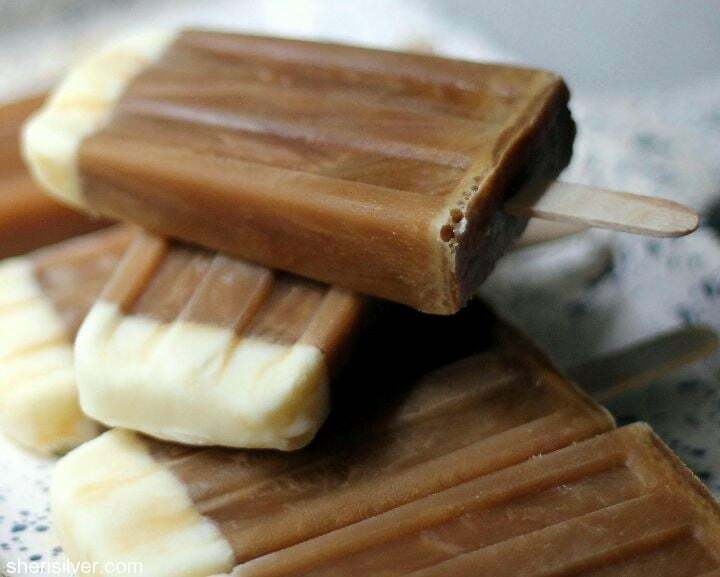 Pour into your popsicles molds about 1/2″ high. Freeze till very solid, one to two hours. Add your desired amount of cream and sweetener to the coffee and stir till well blended. Pour into each mold, leaving a bit of room at the tops to allow for expansion. Freeze for 30-45 minutes; add sticks and freeze overnight. To release the pops, hold molds briefly under hot water. shortcuts: edible birds’ nests for spring!